Being quite skeptical of such claims, I have searched for solid comparison studies. 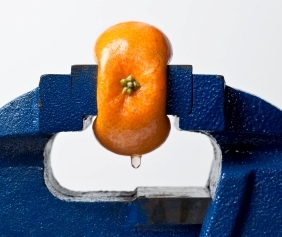 It’s an interesting subject because even though both juicers yield the same amount of juice, if what is pouring out of the spigot is higher in nutrition and enzymes, then it might be worth paying more for a masticating machine. Some laboratory research is backing the masticating claims. There may be a greater concentration in nutrients, including minerals. Plus, unlike the centrifugal juicers, the masticating type can do more than juice; it makes raw nut butters, baby food, frozen smoothies, and soup purees. 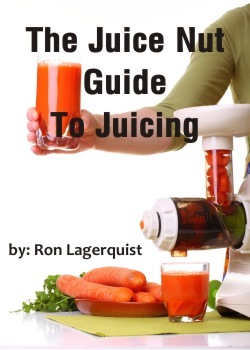 "The best juicer is the one you will actually use!" Masticating juicers take about twice as long to use, and they are harder and messier to use too. 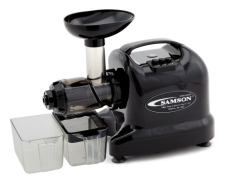 When I first started juicing I had a very expensive masticating juicer and a cheap, little centrifugal juicer. And guess what? The masticating juicer ended up in the back of my cupboard while the centrifugal juicer sat on my counter getting used daily. If it’s going to be a long, messy process, you will give up on it, and that’s not what I want. I found a masticating juicer by Kuvings. It was $449.00 but I got it for $389 by using a Bed Bath & Beyond 20% off coupon. I've never used a juicer before but after I figured out how to set it up it was really easy to use and clean up. They even give you 3 tools to use. It's also a really nice looking appliance. Have you heard of this brand and if so what do you think about it? Great site. A lot of useful information here. Iˇm sending it to some buddies ans also sharing in delicious. And obviously, thank you to your sweat! Thanks , I have just been searching for information about this subject for ages and yours is the best I have discovered till now. But, what about the conclusion? Are you sure concerning the supply? What i do not understood is in truth how you are now not really much more smartly-preferred than you may be now. You're very intelligent. You realize therefore significantly relating to this topic, made me for my part imagine it from numerous varied angles. Its like women and men aren't involved until it��s something to do with Girl gaga! Your personal stuffs excellent. At all times maintain it up! I've been browsing online greater than 3 hours nowadays, yet I never found any interesting article like yours. Its lovely worth sufficient for me. In my opinion, if all web owners and bloggers made excellent content as you did, the net can be much more useful than ever before. I do consider all the ideas you've introduced to your post. They are very convincing and will certainly work. Nonetheless, the posts are too quick for novices. May you please lengthen them a little from subsequent time? Thanks for the post. I know now 100% that the cold press (Masticating) juicers are better I have used both types and now have a new Hurom 700 and its fantastic does cost a little more but the results are worth every cent. Great advice and insight. Thanks for the information. 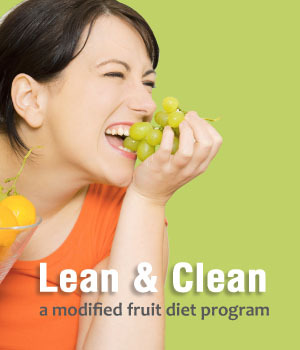 My family and I are committed to going back to a simpler and meaningful life with nutrition as a core part of it. Love your enthusiasm and your website! Thanks again! 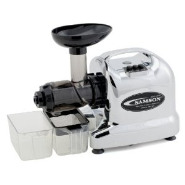 Do you think the Hurom slow juicer has merit?